Will TalkSport signings add reach? It was a bold move for TalkSport. 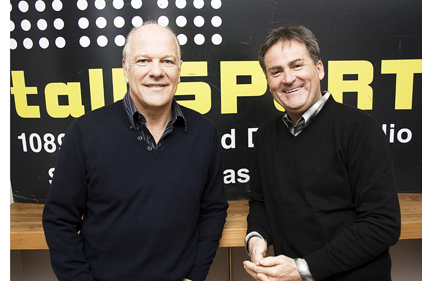 Signing Sky Sports' disgraced presenters Richard Keys and Andy Gray three weeks after they left the channel for making sexist remarks off-camera could be seen as sending out the wrong signal to its mainly male listeners. Whatever PR professionals think of the hires, they should pay attention to the station's expanding remit, which will provide more opportunities for coverage. In addition to TalkSport's parent company UTV Media's growing focus on free magazine Sport, which it bought in 2009, the station has created an in-house team to supply news bulletins, which were previously supplied by Sky. It is also investing heavily in its website. 'We are creating content that fits on other platforms. So for the Cricket World Cup, we had a specific cricket blog,' says Dee. He adds: 'Clearly football is the greatest love of the country, but we are keen to build our relationships with other sports such as cricket and rugby.' Last year, it was announced that TalkSport had won the exclusive national radio commentary rights to next year's Rugby World Cup, which takes place in New Zealand in September. These changes, coupled with the station's healthy figures - Dee says the station 'smashed' the three million barrier in the latest Rajar figures for the first time - make it a worthwhile target for PR professionals. He adds: 'TalkSport has made strides in the past couple of years in having the best names talking about the best sports properties. 'It's no longer just the cab drivers who are listening. - Will Gray and Keys translate to radio? They've got a hell of a job, obviously. They are no strangers to radio. Keys began his career as a sports editor on Piccadilly Radio, while Gray was a match summariser for Talk Radio at the World Cup in France in 1998 and for 5 Live at the Japan/South Korea World Cup in 2002. - How do you differ from rivals like BBC 5 Live? BBC 5 Live has certain responsibilities, for example the majority of its programming has to be news and current affairs. We can talk about sports for most of the time. We can talk at length about the Champions League. - What are you looking for from PROs? Bring something that is unique - an edge or an insight about sports or a related topic. We want exclusive sports stories and interesting voices. - What are your PR pet hates? It winds me up how little they know about who they're talking to. They have no idea of the product or what it's about. The greatest source of irritation is blanket calls. If a PR firm knows the schedule, presenters and the brand it helps. Contrary to popular belief, most of our audience is in the ABC1 category, and mainly male. Yes, we have humour and fun, but we also have real, intelligent debate. Sport is a great social glue.